Once you are logged in, Click on the Edit button on the top right corner of the page. In the screenshot below, the 2 icons highlighted in red are the link (chain link connected) and unlink (broken chain link) commands. 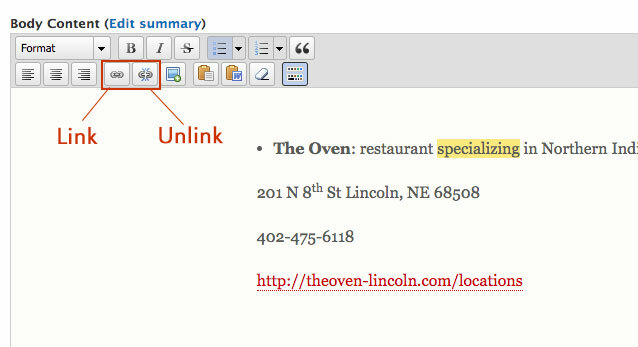 Highlight the text you wish to make into a hyperlink and click on the chain option to create a link. If you no longer need the link, you can highlight the text and select the broken chain link option.